WINCHESTER — With the days lasting longer and springtime activities revving up, the Winchester Police Department and the Winchester Coalition for a Safer Community would like to share some helpful information for families and students. We are now less than a month and a half away from the end of the school year, and with the longer days and nicer weather, it is our sincere hope that Winchester youth will take advantage of the many resources available. It is a proven fact that organized sports and structured activities reduce risky behavior, and Winchester has terrific programs available. Families can play an active role in keeping their children safe by setting expectations early and having pre-prom and pre-graduation talks. Encourage your children to have fun, but know their plans and itineraries. Know where they will be at all times and make sure there will be adult supervision and that you have contact numbers for the adults in charge. Whether it’s prom night or a weekend away for mom and dad, make sure your children understand not only your rules, but the law as well. Make sure they knew that you, as the homeowner, can be criminally charged for underage drinking parties or other activities that occur at your home. This weekend is the annual En Ka Fair, which youths see as a rite of passage. Our best advice, as always, is to make sure your kids have the knowledge and resources to stay safe. Do your kids have a curfew? How are they getting home? What time are they being picked up? Who will they be hanging out with? Have a plan, and execute it. The Winchester High School graduation will take place on Sunday, June 4, 2017 at Manchester Field at 4 p.m.
* Don’t feel pressured to drink or use drugs. The penalty for a person under 21 years old who possesses alcohol can face a number of sanctions, including criminal prosecution and/or loss of their driver’s license. It is also against the law for minors to possess, buy, sell, or use marijuana. * Never get in a car with anyone who has been drinking or is under the influence of drugs. * Respect yourself and others. Know your boundaries and don’t hesitate to call 911 if you or someone you know is a threat to their own safety or the safety of others. * Know your teenagers’ plans. Find out where your student is going, who they’re with and what they’ll be doing. Make sure all parties are supervised and that you and the responsible adults share the same expectations about party behavior. Offer to drive your teenager to and from parties. * Set firm guidelines and expectations for post-ceremony celebrations. Establish a reasonable curfew and check-in periodically. Include consequences for breaking the rules in your discussion. * If you’re hosting the party, provide non-alcoholic beverages and do not tolerate alcohol or drugs on your property. Keep alcohol at home in a locked cabinet. Under the Social Host Law, parents can be criminally and civilly liable if they allow underage drinking to occur in their homes. * Keep an eye out for students bringing in backpacks or large purses and unsealed drink bottles, which could be used to conceal alcohol. Put guests’ belongings in a room and watch out for those who may be going into their bags to retrieve alcohol or drugs that could have slipped past you at the door. * Party crashers should be turned away, as the greater the number of guests at your residence, the harder it will be to maintain a controlled environment. * At the same time, if an invited guest arrives intoxicated or under the influence of drugs, be prepared to call the person’s parents and/or the police. Alert adults to your rules before the celebration so they are aware of the consequences if their teen becomes a problem. 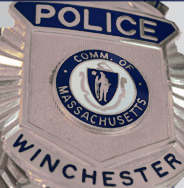 Above all else, the Winchester Police Department is a resource to you, and we exist to help you. If a celebration gets out of hand, or unwanted guests refuse to leave, or you just have concerns, call 911. It is better to work with us at the onset. If you have any questions or concerns, feel free to contact the Winchester Police Department at 781-729-1214 or School Resource Officer Sgt. Dan Perenick at 781-721-7020 ext. 4111 for more information or assistance at any time. Have a safe and happy springtime!